It just so happens that when I'm studying 24/7 my brain's creative juices flow a lot more than normal...AKA. it loves to do anything besides cram insane amounts of information into it. So...lots of posts that I wanted to post but didn't have time to will be coming shortly! 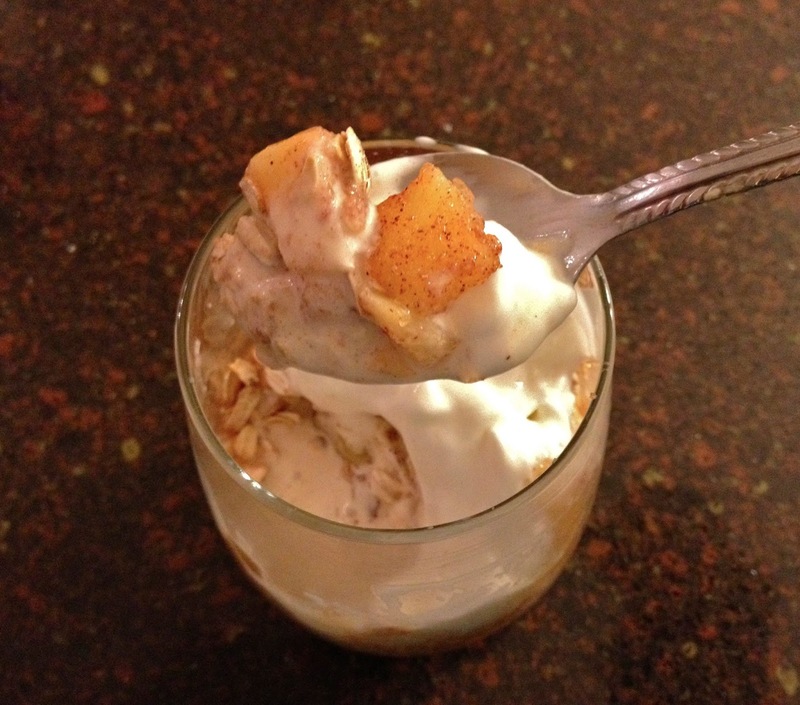 This recipe came to my head on a rough day of studying and it was the perfect mood changer! Super simple & sweet! As always, you can add your own twists to it, but here's what I did! **If you can't find this ice cream at your store, you can grab vanilla ice cream, leave it out 5-10 minutes to let it soften a bit and swirl in a couple Tablespoons of Speculoos spread (from Trader Joes...or Biscoff spread from a local store). Then stick it back in the freezer to harden a bit. Preheat the oven to 350 degrees. In a small bowl mix the oats with the cinnamon and vanilla extract. Line a baking sheet and spray with cooking oil. Spread the oats out in a single layer on the sheet and bake for 10 minutes (stir with a spatula every few minutes for even toasting) or until the oats turn golden brown. (A great trick I learned is to leave out a few oats on the counter so you can see the color difference.) Remove the oats. Peel & dice the apple. In the Ziploc bag, add the apples with the sugar, cinnamon, cornstarch and water. Zip the bag and shake until the contents are well mixed. Open the bag a bit to allow air to vent and cook in the microwave 2 minutes and 15 seconds. Be VERY careful when removing the bag since it will be steamy! Now go enjoy your sweet creation!! What a delicious idea! 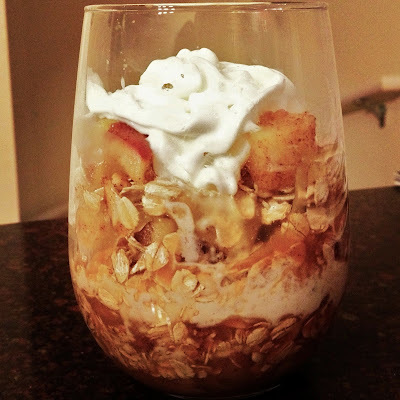 I can't wait to try this because I love apples caramel,oats and icecream all together.Thank you.